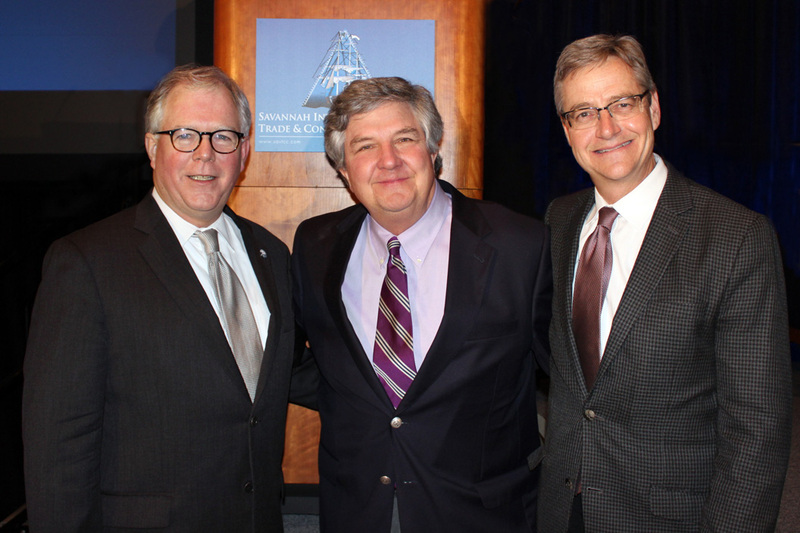 David Brown, executive vice president and chief preservation officer of the National Trust for Historic Preservation; George W. McDaniel, executive director of Drayton Hall; and Tom Mayes, deputy general counsel of the National Trust for Historic Preservation. McDaniel’s speech addressed the basic question: Why are historic sites important? What difference do they make? In response, he explained how he came to work at historic sites and to understand them to be not just staid, pretty places to visit, but instead places where history and historic preservation could engage people’s interests in ways that a book or classroom alone cannot. Citing specific examples from the work of other National Trust sites including Cliveden, President Lincoln’s Cottage, and Montpelier, he showed how sites are actively making a difference at local and international levels, and are being used to build cross-racial bridges. Thanks to the generosity of the Friends of Drayton Hall, staff members have been providing exceptional tours and programs, continuing our groundbreaking research in oral history, and striving to conserve the Ashley River region through our philosophy of whole place preservation. All of this work shows that “buildings don’t preserve buildings, people do.” And for that to happen McDaniel declared, “individuals must step up.” He concluded his speech by showing a segment from Drayton Hall’s DVD tour, in which Charles Drayton and his daughter Anne reflect on the family’s decision to preserve Drayton Hall.